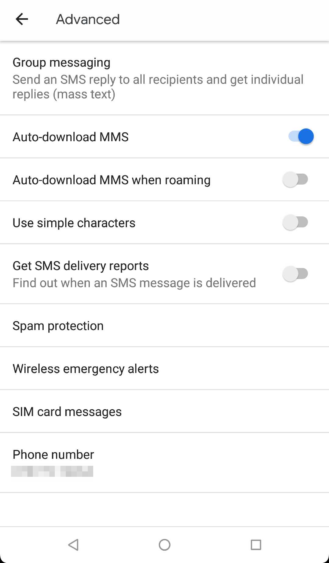 Earlier this month, we spotted the first signs that spam protection was finally ready to roll out to Android Messages after over half a year of development. 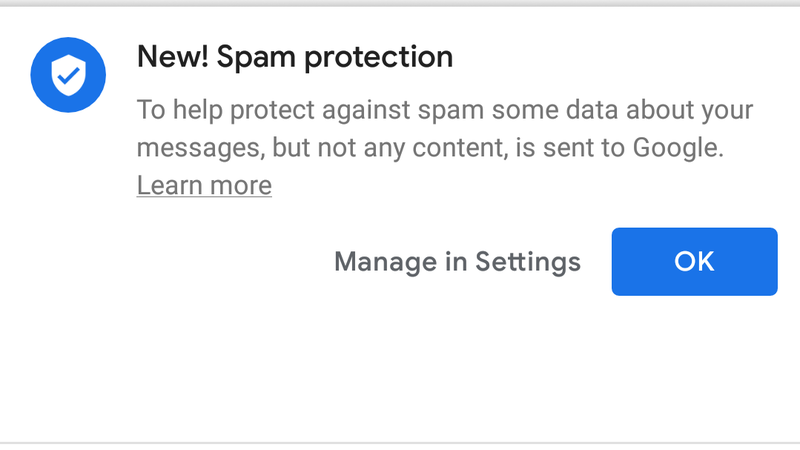 Based on reports from a handful of tipsters, that spam protection feature is now going live, though not everyone seems to have it just yet. The change appears to be server-side and in a limited rollout for the time being, as other devices we've tested, including my own, don't have it just yet. When it does hit your device, you should see a notification similar to that above when launching Messages. A new "Spam protection" option in the Advanced section of the Settings menu (3-dot -> Settings -> Advanced) will also appear allowing you to manually toggle the feature on or off later. We previously discovered a section of Google's support help site which went live prematurely and details in the abstract how the new spam protection feature works from a privacy perspective. The short version is that, when the setting is enabled, some information about the messages you receive (such as inbound phone numbers) is sent to Google, though stripped of identifying content like your phone number or the actual message itself. The inner machinations are undescribed, but presumably, it looks at that data statistically to determine commonalities between spam messages to detect them. 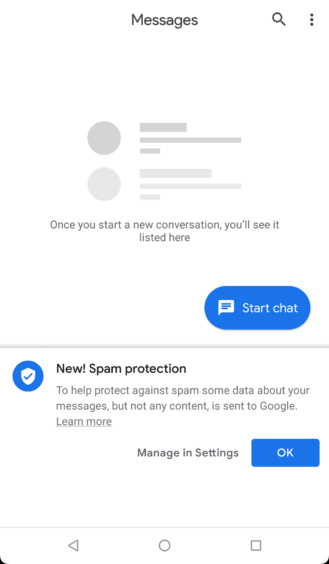 If you send a spam report manually, it still submits the full message to Google, including phone numbers of both sender and recipient as well as the message's contents. 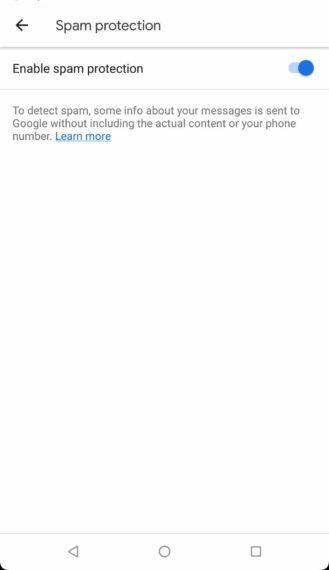 If you're seriously concerned about the privacy implications of having Google access that information, you might want to skip out on this feature (or use a different messaging app to begin with). It remains to be seen how effective Google's solution may be against tactics like number spoofing, but something is better than nothing in the fight against spam.